TAG Solutions works with CEOs, CFOs and IT Managers to deliver new Unified Communication functionality such as, instant messaging, mobility, VoIP, conferencing, and contact center to end users while leveraging existing legacy PBX systems through iron clad integration efforts. Irritated about the ridiculous amount of time it takes to fix telephone problems. Uncertain about how to integrate new VoIP technology with legacy platforms. Looking for a telephony system that is incredibly easy to manage and takes seconds to make common configuration changes. Suffering from the burden of costly telephone maintenance fees. Searching for a way to save $$ on monthly telephone bills. Worried about excessive liability and exposure corresponding with VoIP security threats and vulnerabilities. Depend on enterprise contact center features and reporting . Perplexed about emerging technologies and how they can be leveraged in their business (such as Cloud VoIP). Continually embarrassed by poor technology implementations. Seeking a solution for tricky E911 and emergency notification requirements. Tired of the restraints corresponding with old telephony cabling. Overwhelmed by the thought of training end users to use a new phone. Our team specializes in integrating new VoIP telephone systems with old dinosaur telephone systems. That means our clients have the option of replacing their old phone system over a period of time, as opposed to incurring replacement costs all at once. We can also reuse all of your old peripheral equipment too, such as IVR systems, call recording systems, night bells, overhead paging, and automatic dialers! This methodology is perfect for the customer that wants to replace old technology with new technology in a phased approach. Training end users is critical for a successful installation of a new phone system that we include it, at no cost in every implementation. We provide 1 hour, instructor led, classroom style training to each and every end user before the new phone system is cutover. We teach end users to use the features of the new telephone and software using a live demo kit, with real phones and computers during our training sessions. Users learn how to execute common features such as conferencing, call transfer, paging, call park, redial, etc. We also take adequate time to teach them how to setup and use their new voicemail box! Then, we send a crew of trainers and technicians to the customer’s office the day after the new phone system “goes live” to walk around and help end users with any questions they may have about using the new phones and software! Lastly, we also include – at no cost – system administration training. Our certified technicians will teach our customers how to make common system changes such as creating / modifying a user, creating / modifying an auto attendant, resetting voicemail passwords and much more. We Do Data Networking Too! 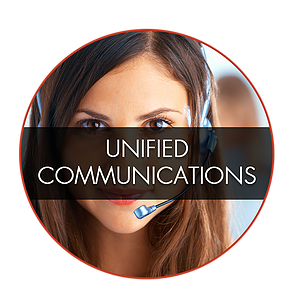 We’ve learned that a great VoIP telephone system requires a great underlying data network. There is nothing more irritating than having your important phone call be interrupted with static, voice clipping or one way audio. It is incredibly easy to make sure that phone calls have pristine quality if you take the time to prepare the data network for voice traffic. Before we even think about installing VoIP phones, we assess the data network and verify that proper configuration parameters are in place – so our customer will never experience a phone call with poor quality. And by the way – we do not have the phone technicians perform this work, instead we have one of our certified network engineers do it because they understand network switching and routing way better!